One of the latest releases of PosESioN is the “Medusa” pose set. 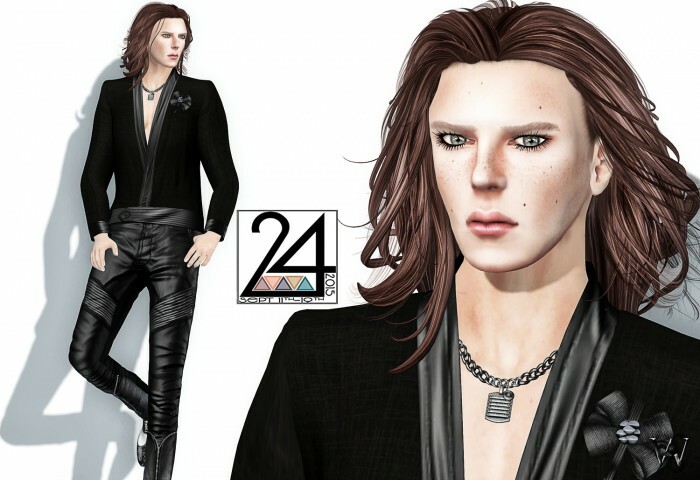 I was so happy when my wonderful brother Dahriel askd me if I would like to model for the vedor of the “Medusa” set. I had so much with the styling that I decided to try some more poses of the “Medusa” set and went to find some greek looking places for the right abience of my Medusa ;). All the poses of the “Medusa” set are very strong and expressive. In the set you will get 10 different poses and one pose as well is mirrowed so you can find the right view and angle for your picture. For the styling I remembered the amazing “Medusa” outfit from Enzo Champagne, owner and designer of Champagne – Sparkling Fashion. He made this amazing outfit, with all the cool snakes and the amazing huge headpiece. I decided to take the headpiece and the waist corset with the attached skirt and huge snakes. 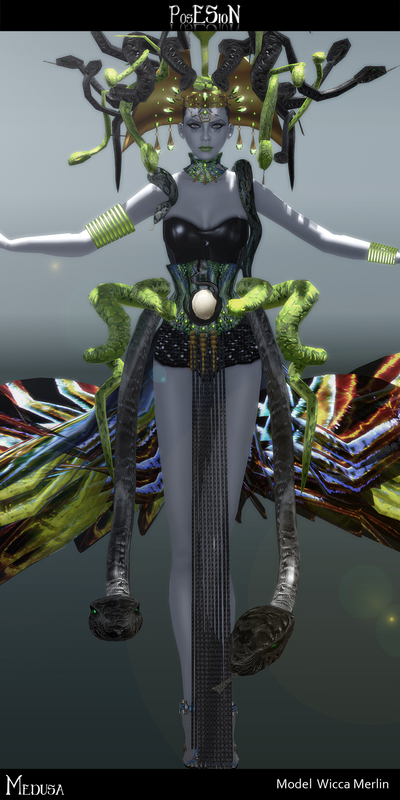 The skirt has an interesting feature… you can enable amazing snake sounds that give the outfit a very special mood ;). The neck corset repeats the waist corset in a wonderful way and builds a wonderful frame for the black corset and pants. For the top i chose the corset of the “Sablier” outfit from LeeZu together with the “Glitter Pants” as well from Leezu. For the skin I chose one of the “Morbida” skins of Silken Moon. 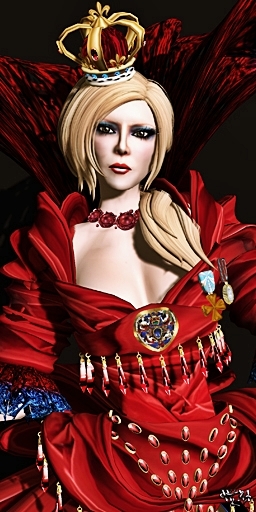 The “Morbida” skin line of Silken Moon has some very special and outstanding makeups. For today’s styling I chose the “Morbida Lizzie” with those awesome eye makeup and the wonderful reptile looking ornaments on the cheeks. I only added one of the lipsticks that Malicia made for my custom skin in the apple color, to match the snakes. I rarely saw a grey skin that has so amazing details and so great made shadows and lights that you still get a super realistic vision of a skin. For the shoulder snake I found the “Kaa” snake of deviousMinds. Those cool mesh snakes were part of a gacha and you could get them in different colors. The wonderful deep red gown with the rich and detailed corset for Miss V Russia 2013, Dolcestella Draconia, was made by Enzo Champagne, owner and designer of Champagne! Sparkling Couture. The “Russian Passion” gown really reflects a style that i can imagine on a russian high society party. The huge red skirt is decorated with some delicate gems while the corsage is made with an amazing texture rich of gold and very filigree, detailed created. The amazing flowers that are going down from the waist over the skirt add a very elegant touch as well. 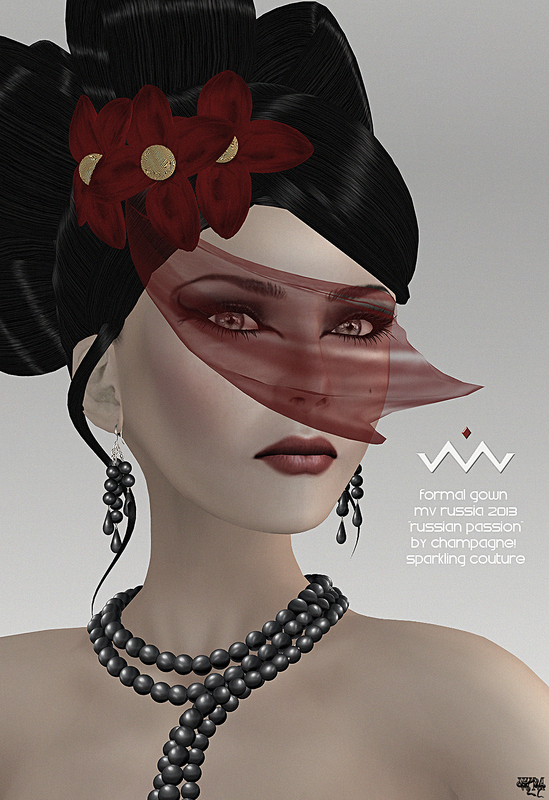 The wonderful headpiece as well is part of the “Russian Passion” . The sheer lace that covers the eyes is hold by amazing 3 flowers that repeat the wonderful flowers of the skirt. The “Russian Passion” you can find at the Champagne! 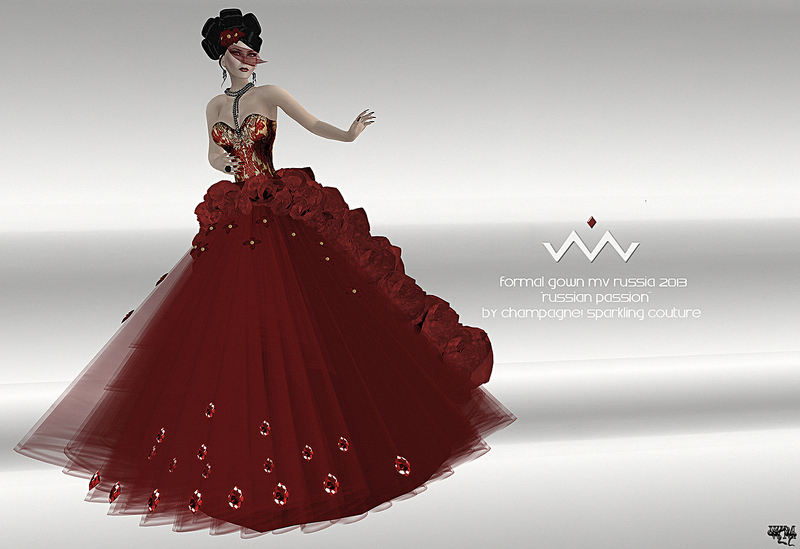 Sparkling Couture Mainstore together with some more amazing new releases. Today I have the pleasure to continue my personal favourites with the national costume of Miss V Ireland 2013, Miss Sessie 16. The amazing designer behind this wonderful design is Enzo Champagne, owner and designer of Champagne! Sparkling Couture. The “Celtic Ireland” outfit is made as a full outfit with all jewelry and accessories. The only parts I had to add was hair, skin, makeup, shoes and nails. he green color stands for Ireland. The green gains impact in combination with its complementary colour orange. The golden celtic ornaments on the arm parts complete the perfect traditional look of the whole dress. The huge back accessory, earrings, headpiece, armlets and as well the wonderful belt with some typical irish accessories are part of the “Celtic Ireland” outfit. 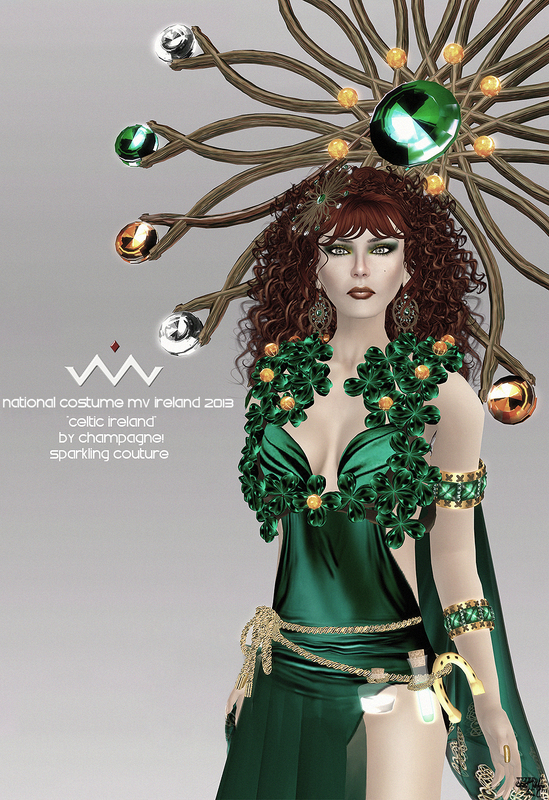 It seems Enzo and Sessie did a lot of research for the national costume and created an amazing fashionable dress for the MVW 2013 competition 🙂 The “Celtic Ireland” is now available at the Champagne! Sparkling Couture Mainstore. 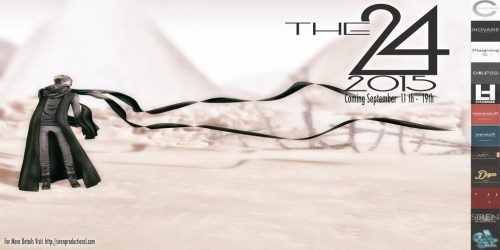 For Miss Nicaragua 2012 of the this year Miss Virtual World challenge, Enzo Champagne made a very sweet outfit. Very colorful and with so many little details. 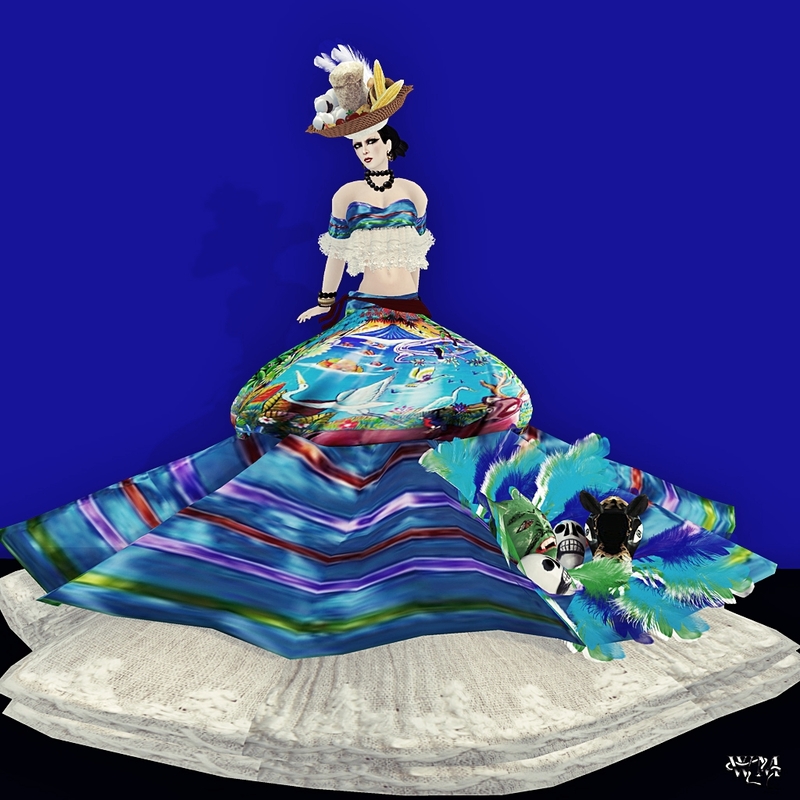 Miss Shantal Gravois was the lucky Miss Nicaragua 2012, who was allowed to showcase this amazing design on the MVW 2012 runway. The wonderful gown for Miss Ireland 2012 was myde by Enzo Champagne, owner and designer of Champagne! Sparkling Couture. Miss Saleena Hax, our lovely Miss Ireland 2012 got a gorgeous stong light green gown, with lots of amazing and traditional details to walk down the great runway of the Miss Virtual Wold 2012 contest. The beautiful rainbow in the back is made as a part of the outfit, as well the little pot of gold you are supposed to find at the end of it, like the fairytales say. The shoes are delivered with the outfit as well and they go perfect with all the little decorations you find on the dress. The collar carries a huge back piece of tendrils and little flowers and the typical cross makes the top center of them. 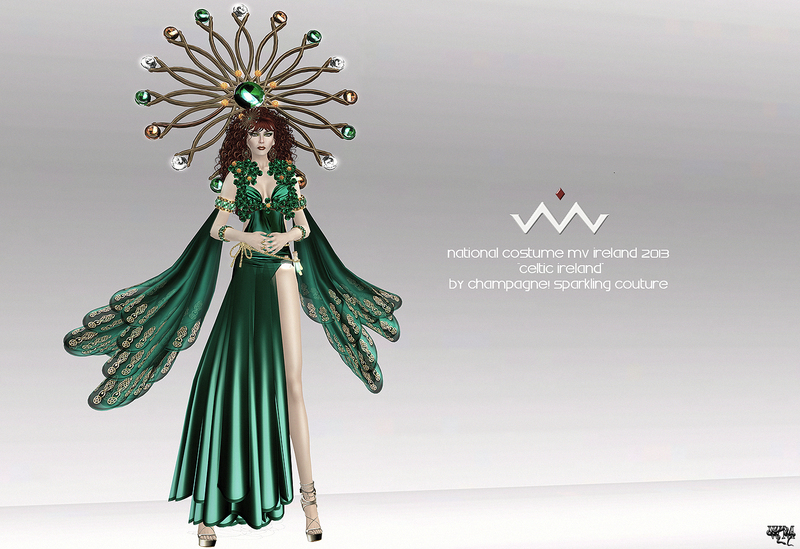 If you want your little piece of Ireland go and grab the “Magic Ireland” gown from the Champagne! Sparkling Couture Mainstore.